However, interval-style training can be very effective in improving your arena riding. I’ve also found that it helps students take a more active approach in their horses’ training. Most simply, an interval is defined as a work bout followed by a rest period of either the same or a shorter duration of time. In human aerobic training, the work bout commonly lasts 3-5 minutes. The rest period, then, would be 3-5 minutes or less, depending on each athlete’s ability and adaptation. When schooling horses in the arena, especially with gymnastic exercises like bending or lateral movements, interval training delivers better and quicker results than continuously drilling any single exercise. This is because intervals encourage more physical and psychological adaptations to exercise. When done well, intervals can accomplish the physiological and biomechanical goals of training, while also optimizing the psychological factors. Primarily, oxygen and blood flow to muscles and supporting tissues occurs more efficiently by inserting rest sets into focused work sessions. Riding continuously leads to the depletion of oxygen and blood flow. 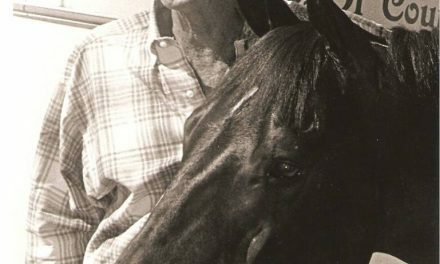 The horse simply fatigues and diminishes, rather than improves the quality of his movement. What counts as an interval? Any arena exercise, no matter how simple it seems, can be treated as an interval. Let’s say you’re a basic level dressage rider learning to get your horse to bend and carry himself with a rounded topline. Rather then riding around continuously trying to achieve these goals, carefully plan your workout. The following is just one example. 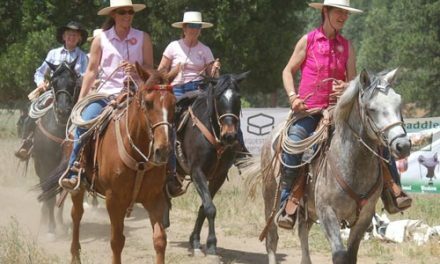 Ride around a 20-meter circle for two laps at a brisk working trot or canter. Once you complete the two laps, ride straight across through the circle’s center until you reach the other side. When you reach the other side, change direction and ride around the same circle for two more laps. 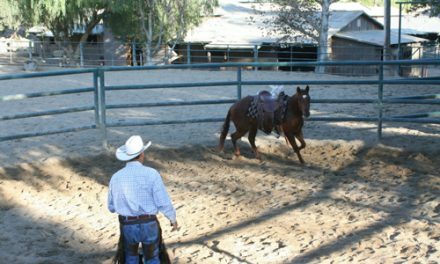 For this brief pattern, you should be riding the best working gait your horse is capable of. Ride around the arena track in a steady working trot or walk for however long it took you to perform your work bout, probably somewhere around one and a half minutes. Ride one work bout, followed by one rest. Next, ride two work bouts followed by one rest of the initial rest duration. Then ride three work bouts, followed by one rest. Practice other exercises with the same format, or introduce new material. Structure the focus of your riding session in the format I’ve introduced above. This way, your sessions will follow the proven formula of conditioning and training for human athletes: a little strategic physical stress, followed by a little recovery, and then repeat. 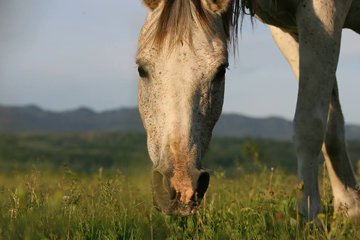 PreviousDoes Your Horse Trust You?